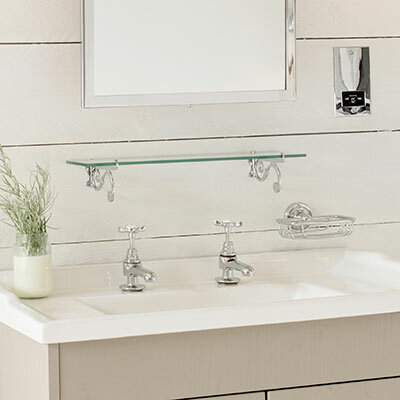 Create a sense of calm and serenity in your bathroom with our stunning Stratford range of accessories in our beautifully reflective glass and nickel. 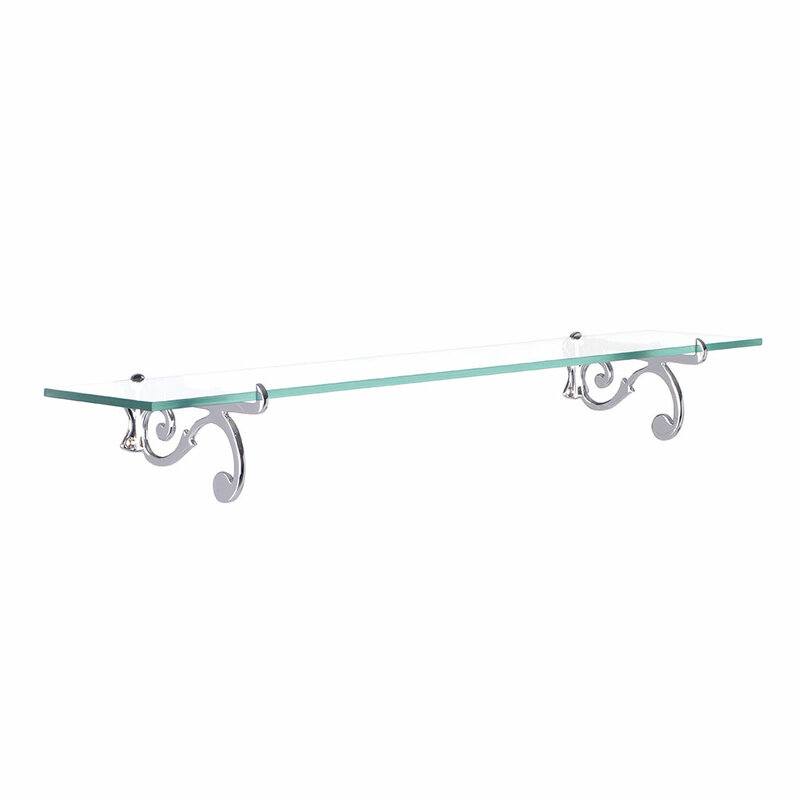 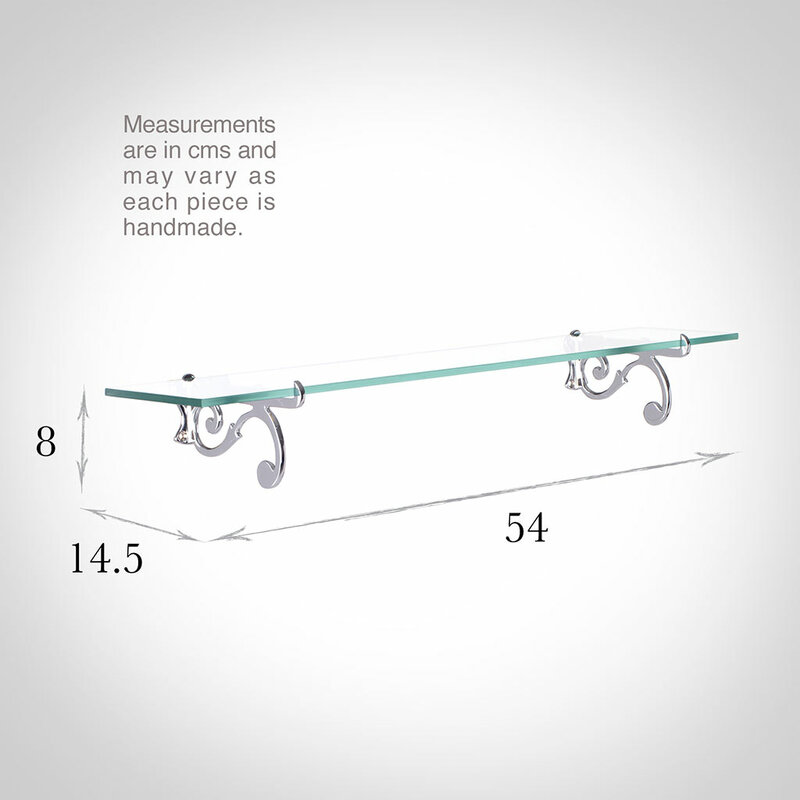 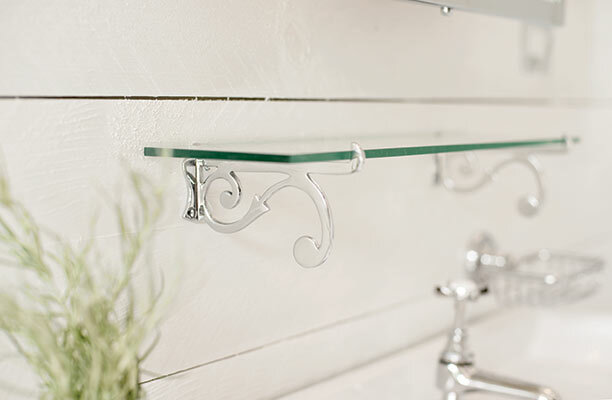 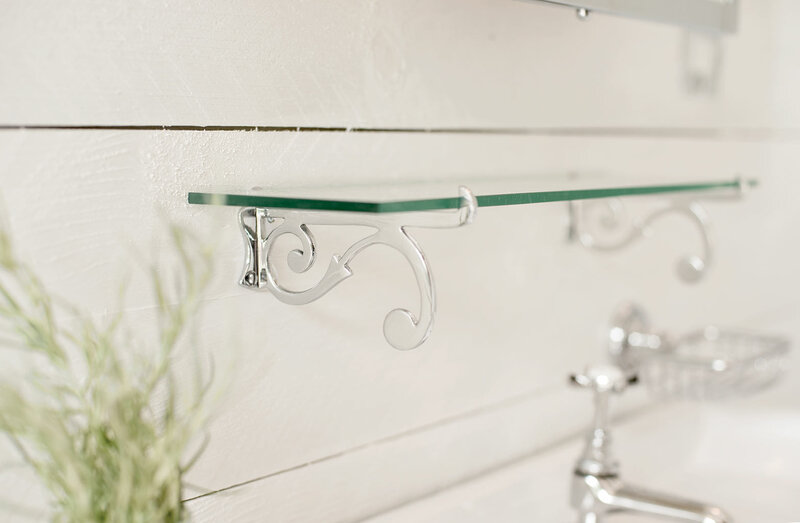 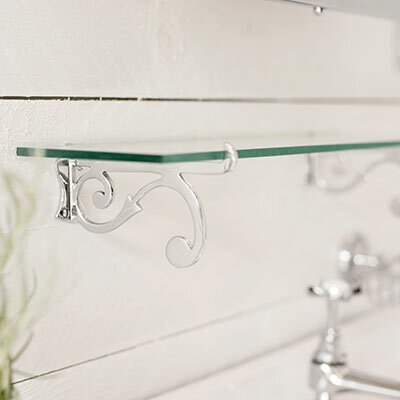 Designed and lovingly made with our renowned attention to detail, the Large Stratford Shelf features two cursive, S shaped brackets that hold a rounded, toughened glass shelf that will bring a touch of period charm and a clean, light edge to any scheme. 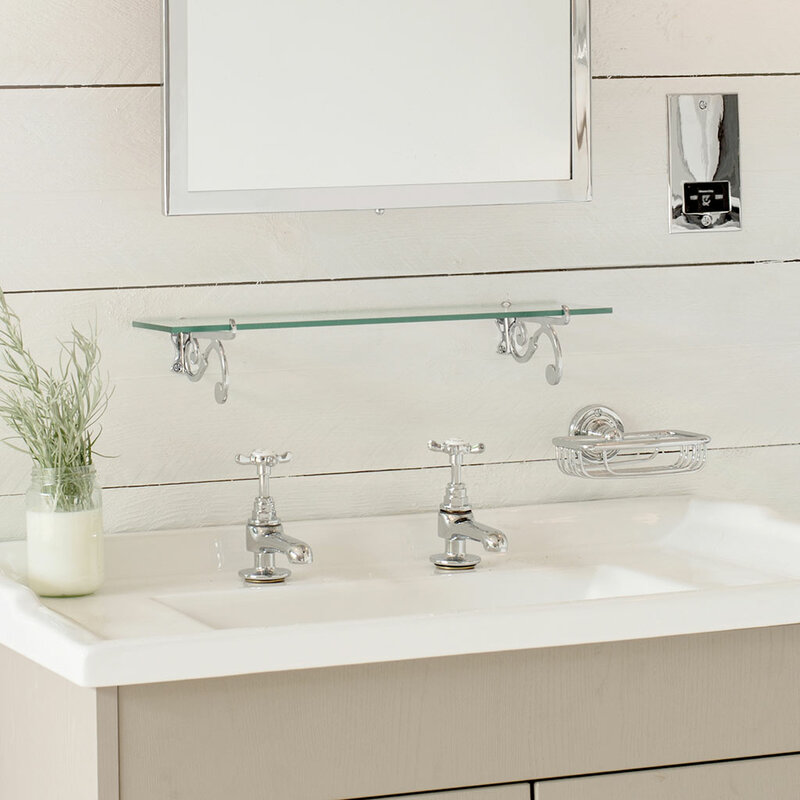 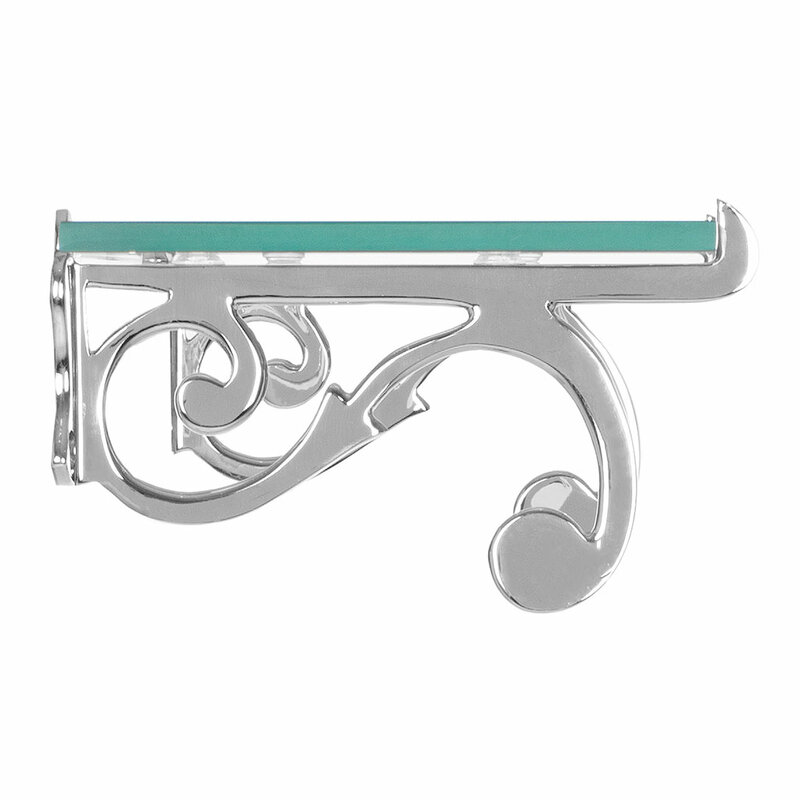 Our nickel lustre is created by plating solid brass with highly polished nickel then finishing it with a flash coating of chrome that will add to its endurability and create a silvery patina to brighten your bathroom. 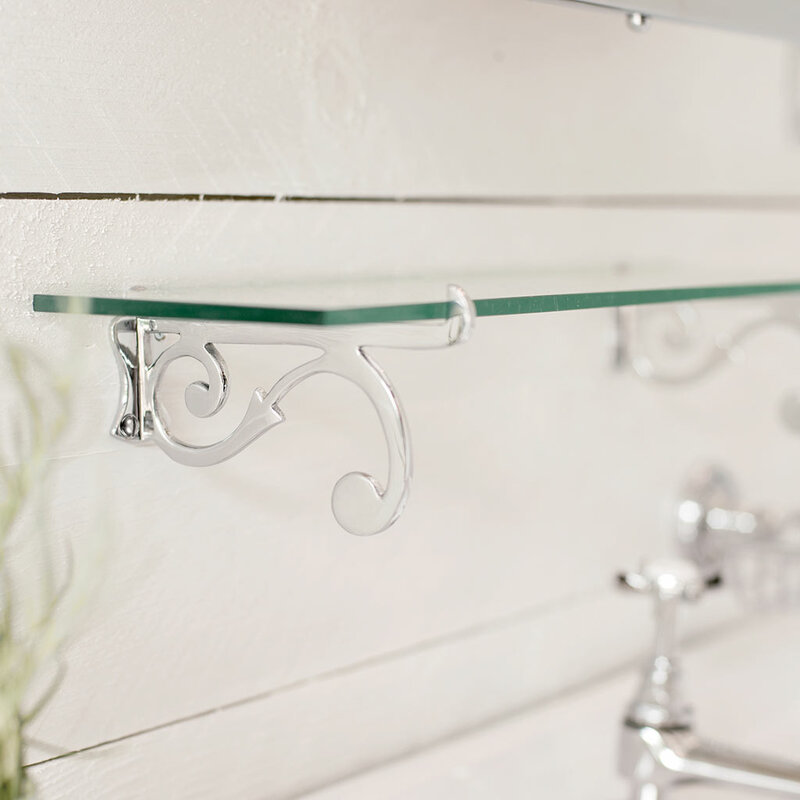 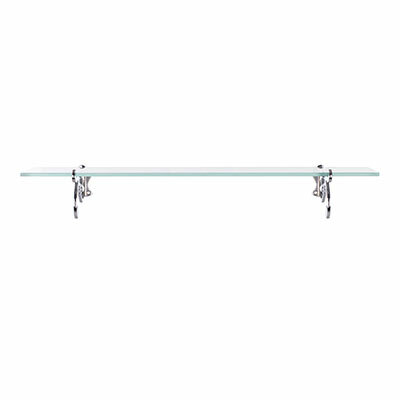 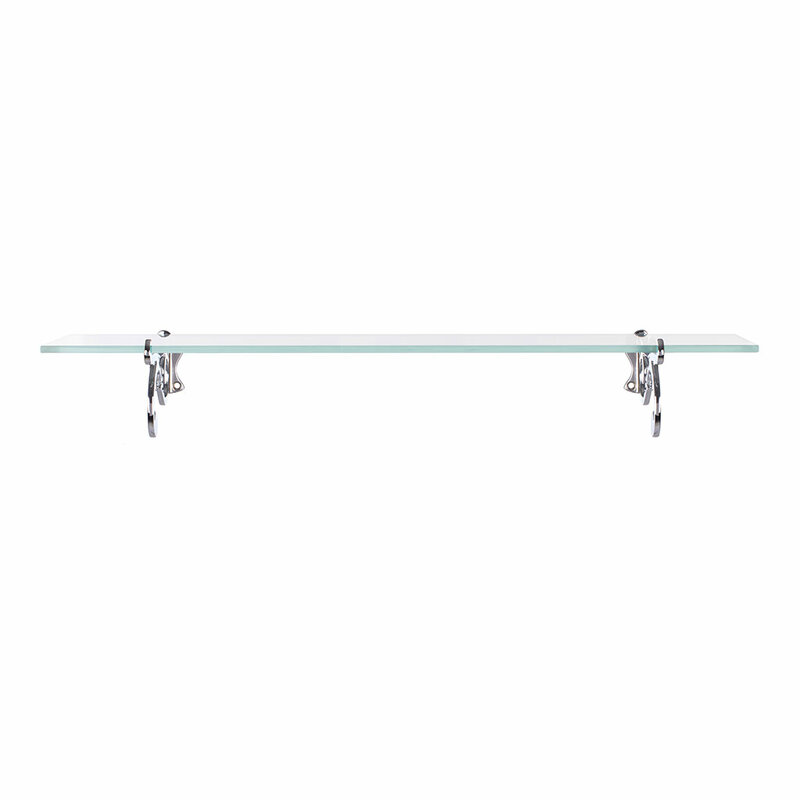 The Large Stratford Shelf is 54cm wide, 8cm high and 14.5cm deep and comes supplied with fixing screws in the same finish.